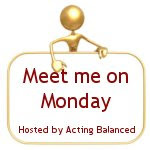 It’s been several weeks since Java at Never Growing Old posted a set of Meet Me on Monday questions, but we’ve been missing it – so Acting Balanced decided to resurrect the idea and starting today she’ll be posting 5 questions on Sunday evening along with a linky for you to link up your post answers! Answer them on your blog and link up! That would be a huge NO! I jokingly refer to it as ‘Single Awareness Day’ and think it is a nothing but a big scam by greeting card and candy companies. It is also a guilt driven reason to show some token of affection, which I wrote about last year in my post, My Favorite Valentine Tradition. I don’t want, need or even appreciate anything on that day from anyone professing to love me. Do it another day when the rest of the world isn’t, because you thought of me and wanted me to know you love me. If you do it for Valentine’s Day, then I cannot help but believe that is the reason you did anything, out of fear of being a dolt and not because there is a true desire to show affection. Seriously, some dumb song I cannot even sing more than a line or two of because that is all I know, from a goofy animated, singing thing we found at Walgreen’s. I was out shopping with my sister and I happened upon it. I suggested my brother needed this at the firehouse to amuse himself and the other firefighters. Here is a small video clip of the insanity that I took before we dropped it off to him at work yesterday. Nothing yet other than coffee. It is only 7:08 and I rarely eat at this hour. I need to be up a few hours before I can handle food. I keep my keys in my car. I park in the garage so I see no reason to take them out of the car or then I never seem to be able to locate them! Mr. Peter from English I and later Creative Writing when in high school. He always challenged us and he and I would go head to head now and then. I actually learned much about myself as a person thanks to him those two classes.